Vadym Alperin wanted to have a criminal case closed. On Friday, the National Anticorruption Bureau of Ukraine (NABU) and the Prosecutor-General's Office detained a man who offered a 800,000-dollar bribe to a NABU employee, the bureau's press service said in a report on Friday. The bribe was in request to ensure the dropping of criminal proceedings in which 450m hryvnyas were seized from the bribe-giver's companies. A criminal case was opened to investigate the offer of a bribe. A suspicion notice will be served in the near future, the report said. 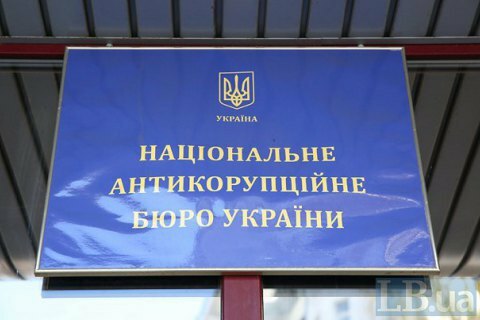 In late October, the NABU reported the seizure of 450m hryvnyas from the fiscal accounts the State Customs Service. The investigation believes that some importing companies, with the assistance of State Fiscal Service officials, cleared the goods imported into Ukraine by deliberately indicating prices significantly below the market ones. Customs officials, for their part, turned down the declarations and corrected them in accordance with the requirements of the Customs Code. Importers paid the difference between the stated and accrued amounts of customs duties, and then challenged customs decisions on the additional charge of customs payments in courts. The seized 450m hryvnyas is the amount of additional charges previously paid to the budget, which importers sought to return in courts. Ukrainian News said with reference to a law-enforcement source that the bribe was offered by a relative of Odesa businessman Vadym Alperin.